A Tiffany Studios Lamp comprising a rare octagonal October Nightshade shade, featuring variegated red and orange blossoms growing on a trellis against a mottled background, on a bronze "Art Nouveau Dish" base in a rich brown-green patina. A similar example is in the permanent collection of the Richard H. Driehaus Museum in Chicago, Illinois. 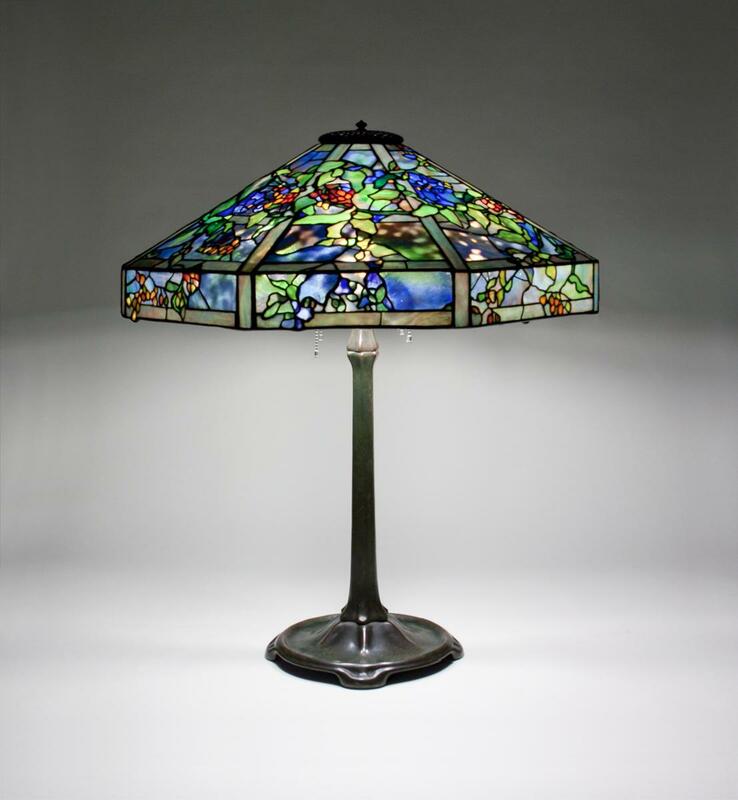 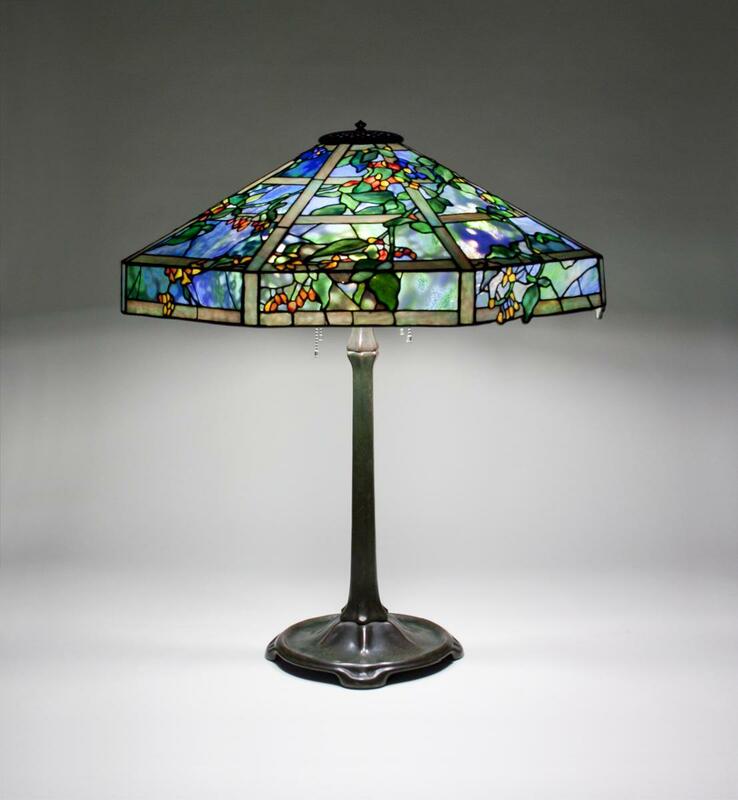 A Tiffany Studios Lamp comprising a rare octagonal "October Nightshade" shade, featuring variegated red and orange blossoms growing on a trellis against a mottled background, on a bronze "Art Nouveau Dish" base in a rich brown-green patina.